​Gordon G. Chang is the author of Nuclear Showdown: North Korea Takes On the World, released by Random House in January2006. Showdown focuses on nuclear proliferation in general and the North Korean crisis in particular. His first book is The Coming Collapse of China (Random House, August 2001).He is a columnist at The Daily Beast and a contributor at Forbes.com. He blogs at World Affairs Journal. Chang lived and worked in China and Hong Kong for almost two decades, most recently in Shanghai, as Counsel to the American law firm Paul Weiss and earlier in Hong Kong as Partner in the international law firm Baker & McKenzie. His writings on China and North Korea have appeared in The New York Times, The Wall Street Journal, the Far Eastern Economic Review, the International Herald Tribune, Commentary, The Weekly Standard, National Review, and Barron's. He has spoken at Columbia, Cornell, Harvard, Penn, Princeton, Yale, and other universities and at The Brookings Institution, The Heritage Foundation, the Cato Institute, RAND, the American Enterprise Institute, the Council on Foreign Relations, and other institutions. He has given briefings at the National Intelligence Council, the Central Intelligence Agency, the State Department, and the Pentagon. He has also spoken before industry and investor groups including Bloomberg, Sanford Bernstein, Royal Bank of Scotland, and Credit Lyonnais Securities Asia. Chang has appeared before the House Committee on Foreign Affairs and the U.S.-China Economic and Security Review Commission. 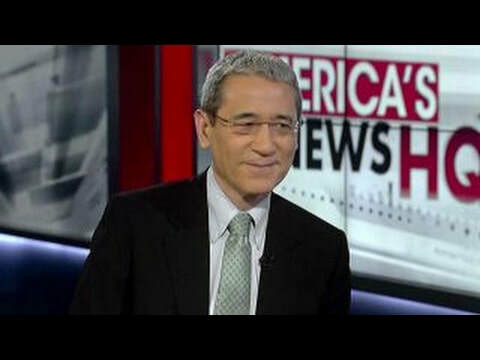 Chang has appeared on CNN, Fox News Channel, Fox Business Network, CNBC, MSNBC, PBS, the BBC, and Bloomberg Television. He has appeared on The Daily Show with Jon Stewart and is a regular co-host and guest on The John Batchelor Show. Outside the United States he has spoken in Beijing, Shanghai, Taipei, Hong Kong, New Delhi, Seoul, Singapore, Tokyo, The Hague, London, Ottawa, Toronto, and Vancouver. ​He has served two terms as a trustee of Cornell University.